Standard hand chain drop is 2-feet less than lift. 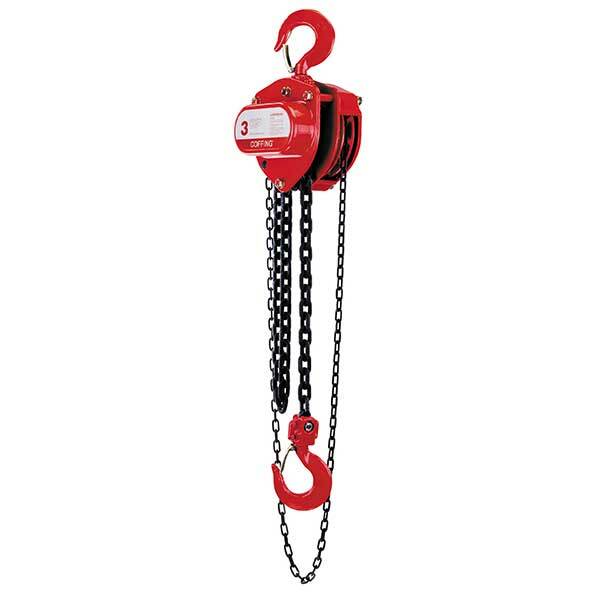 Other lifts, hand chain drops and 25 – 50 Ton models available – consult factory. Designed for portability and easy installation. Compact gear housing provides low headroom. Durable through hardened load chain providing added strength and wear resistance for greater chain life. Stamped steel housing withstands rugged conditions.